No matter what type of fireplace you have or how often you use it, it is crucial to the safety of your home to have regular chimney inspections. The Chimney Safety Institute of America (CSIA) recommends annual inspections to ensure that your chimney is structurally safe and in good working order. Even those with gas inserts and appliances or those who no longer use their fireplaces should get annual check-ups to look for leaks, weather damage, or even small animals to prevent greater problems in the future. Chimney sweep technicians are individually certified, and can offer three levels of inspections based on the condition and usage of your chimney. Level One: If you regularly use your fireplace and your chimney is in good working order then a level one inspection is a good idea. Our technicians will look for basic soundness of the structure and check to ensure that all of the connections are secure. Next, they examine the flue and look over any appliance connections as well. Finally, they verify the chimney is free of obstructions and check for potentially combustible deposits. Level Two: If you have made any changes to your fireplace system, a level two inspection is recommended. This can include changes to the fuel type, like a shift from wood burning to gas inserts, or changes to the flue such as a relining. It is also recommended before the transfer of ownership of a house. Any external events, such as an earthquake, weather events like tornado or wind damage, or even a small house fire can also warrant one. A level two inspection is more involved than a level one inspection and may be recommended if an initial level one inspection indicates any issues or hidden hazards. A level two inspection includes an examination of exterior portions of the chimney accessible from the attic and roof, or basements and crawl spaces. It will address proper clearance of combustibles from these accessible locations. It can also include visual examinations of the internal surfaces and joints of the flue and chimney spaces with the use of a specialized camera. Level Three: Level three inspections involve removal of fixed components to ascertain the level of damage and necessary repair. This is a much more in-depth inspection and could include the removal of the chimney crown, interior components, and even the removal of portions of interior structures such as drywall to determine the condition of the chimney system. 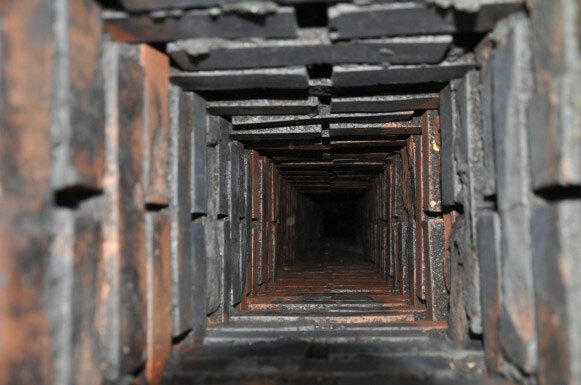 Our team at Clean Sweep is certified to provide chimney inspection for your home. A properly maintained chimney system is just one way you can protect your family from hazards like chimney fires and carbon monoxide poisoning due to a faulty gas fireplace appliance. We understand that your families safety and well being is your top priority and we take each job very seriously, inspecting for hidden dangers in your chimney system that can be potentially hazardous. We work to keep your fireplace and chimney in excellent working order, with service representatives you can trust and a commitment to quality that we guarantee. 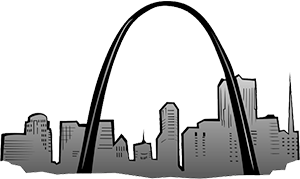 Get a St. Louis chimney inspection from the experts at Clean Sweep Chimney!